Hollywood producer/director Cecil B. DeMille used Big Bear Lake as a film set for many years. He had a home on the lake, and was a familiar face in the Big Bear community. – Rick Keppler collection. 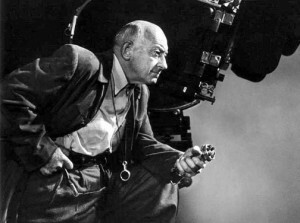 Famous film director/producer Cecil B. DeMille was one of the first Hollywood producers to use Big Bear as a location for a filming. 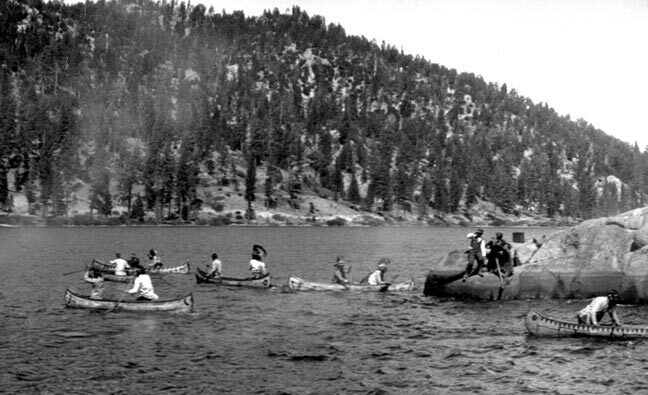 Just three years after the Bison Motion Picture Company had arrived in Big Bear, DeMille was up here making a silent film called “The Call of the North”. This was only the second film that DeMille had ever made. But it was a critically acclaimed success, and it firmly established him as a major director. One of DeMille’s favorite locations for filming in Big Bear was the famous Fisher family estate located just west of the village. Today the Fisher property is known as Logonita Lodge. Cecil B. DeMille not only went on to become a giant in the film industry, but in 1919, he was also founder of one of the first aviation companies in this country to carry freight and passengers. It was called Mercury Aviation. In the early 1920’s, DeMille decided that he wanted a summer home in the new Bartlett subdivision on the south shore of Big Bear Lake. He told the Bartlett’s, that he would agree to purchase a lake front lot, and build a $10,000 cabin on it, but there was a condition. He wanted to be able to land his airplane close enough to walk to his property. So, the ever obliging Bartlett’s leased an additional 300 acres from the IS Ranch, and smoothed out an airfield for the eccentric Mr. DeMille. Cecil B. DeMille getting ready on the shore of Big Bear Lake to film his next scene in his production of Call To The North. – Rick Keppler collection. Cecil B. DeMille filming on the shore of Big Bear Lake out on Logonita Point in his production of Call To The North. – Rick Keppler collection. 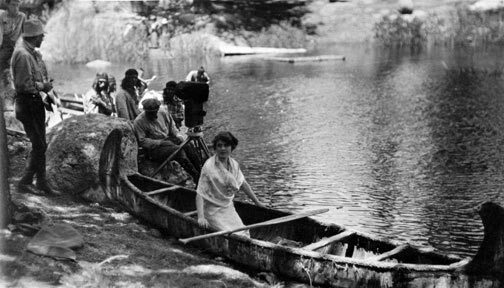 Cecil B. DeMille filming an Indian raid on Big Bear Lake in his production of Call To The North. The light area on the left side of the photo isn’t a defect, it’s smoke from an Indians rifle. – Rick Keppler collection.